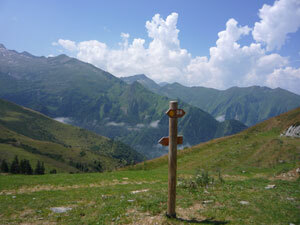 The Pyrenees offer all that is best in walking: fantastic scenery, great places to stay, good weather and, above all, variety. 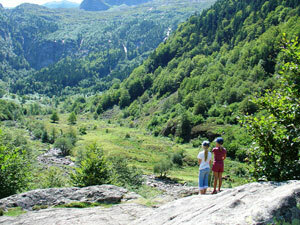 Serious trekkers will relish the chance to seek out the unexplored valleys of the high mountains. Those who prefer an easier pace can stay closer to civilization, enjoying the culture and history of the area through which they are walking. There are 400 species of flowers here, including the famous Pyrenean lily. The pastures in the valleys and higher up in the mountains are full of wild-flowers, a testament to the tradition of organic farming in the area where spraying chemicals has never been adopted as it has in many other parts of the world. All the major routes and many minor ones have been marked. The mountains are laced with footpaths used by inhabitants for centuries. Walk along part of the medieval pilgrim route to St Jacques de Compostella and stay in the traditional halts like the pretty town of St Lizier, listed as one of the most beautiful villages in France. It is also possible to walk the historical route of the Chemin de la Liberté from St Girons, which was one of the secret escape routes into Spain used by resistance fighters, refugees and stranded allied airmen during the Second World War. Or just take in one of the many day walks up to the pristine mountain lakes and waterfalls or along the river valleys with their spectacular backdrop of snow capped mountains. Also in the region is the 9000 hectare Réserve du Mont Valier, one of the oldest in the Pyrenees with deep valleys, spectacular views and a huge variety of animal and bird species. 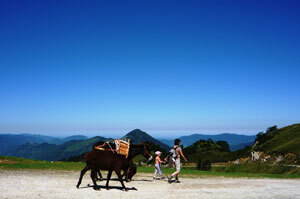 Families will find that many routes are quite suitable for young children. The walks are graded as family friendly and are not strenuous but have enough variation in terrain and natural features like waterfalls and outcroppings to interest both adults and children. Also popular is to hire a donkey or two which allows families with small children to enjoy longer walks than they might otherwise manage. This area is a sanctuary for many animal and plant species which are now very rare or extinct in most other parts of Europe. This includes the brown bear which has been renaturalised (not without some objection on the part of local farmers), the lynx and many of the rare birds which make their home here including eagles and griffon vultures.